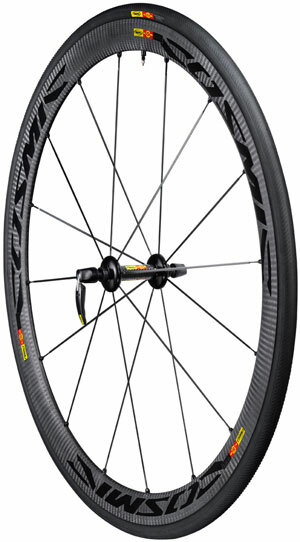 Three years in development, Mavic has released details of its 'carbon clincher' wheel - the Cosmic Carbone 40c - a wheel that they said they'd never make. Building a clincher wheel out of carbon is a straightforward process, you just copy the shape of an extruded aluminium box section rim. The problem is that when you go downhill and brake, you heat up the very part of the rim that is holding the tyre securely. As it heats, the carbon resin starts to become malleable and the force of the air in the inner tube is trying to push the sides apart so that the tyre comes off with obvious results. In simple terms, to get around this carbon wheel manufacturers have to add material and/or expensive heat resistant carbon and resin, which adds weight and cost - just what you don't want to do. Mavic has long resisted doing this and continues to do so in its new wheel, instead they have been very clever and created a thin alloy box and built a carbon rim around it, so you get the best of both worlds. 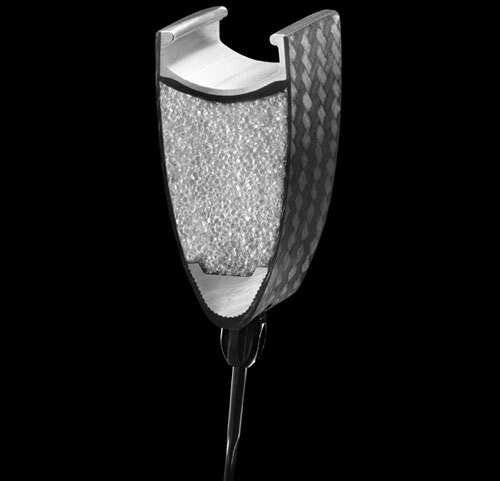 One of the proprietary keys to this is TgMax, a special carbon resin element which chemically bonds the carbon to the alloy section.